Artwork details: Gouache and watercolour, 13.2 x 19.5 inches (34 x 50 cm), 2010. 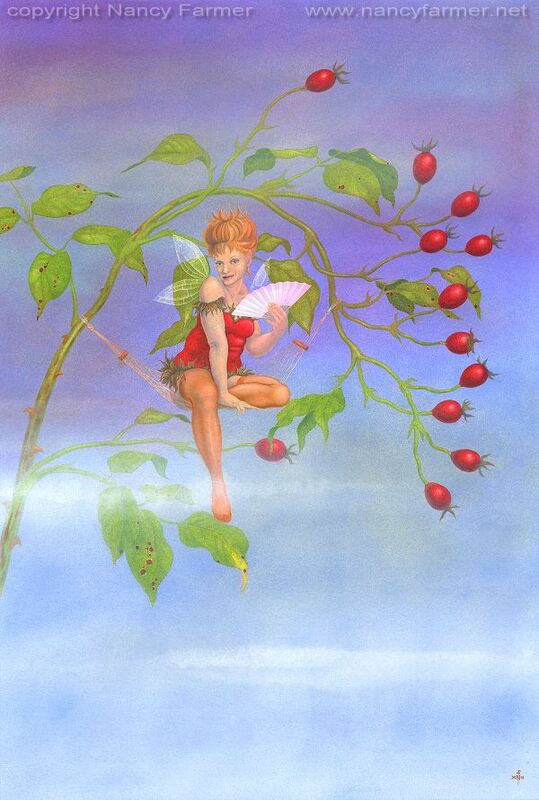 The second of what was to be, and perhaps one day will be, a more extensive collection of 'Flower Fairies run to Seed'. 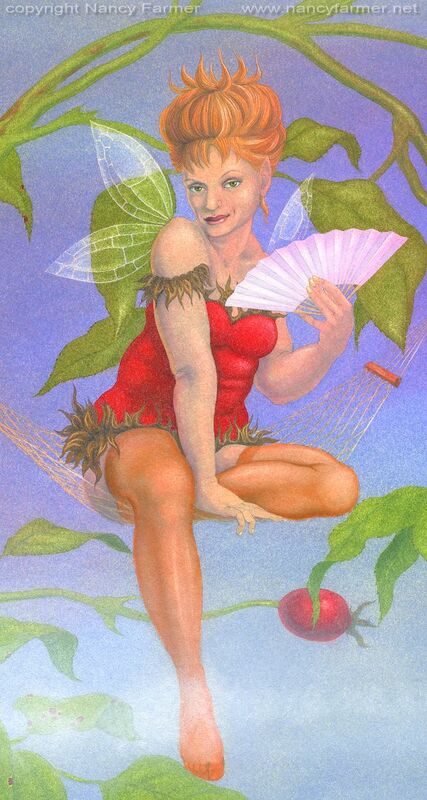 This fairy, and the first painting, Pumpkin, were painted in the late summer of 2010, but events caught up with me and at time of writing this I have yet to finish the Runner Bean Fairies that was supposed to be the third in the series. 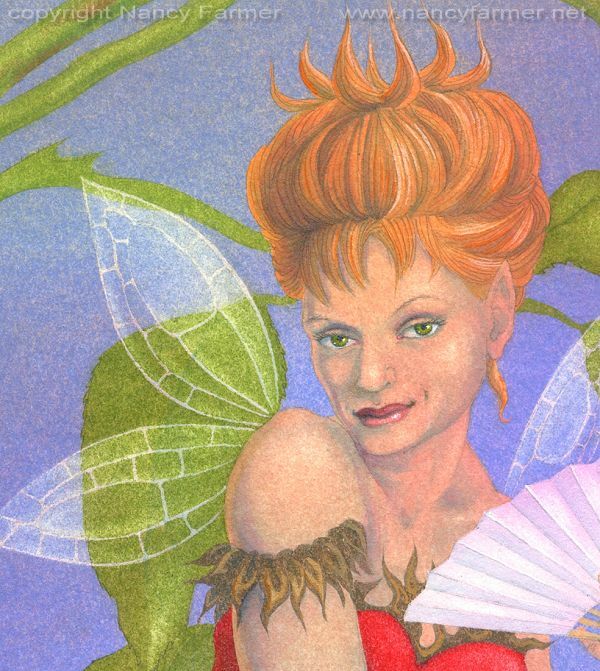 For the original idea go to the page for The Flower Fairies run to Seed: Pumpkin.